Animefringe: April 2005 - Features - Happy Birthday, CLAMP! Beginning as a group who drew fan manga, CLAMP have produced some of the best loved series ever to come out of Japan. Join Animefringe as we take a look back at this remarkable quartet of manga-ka. 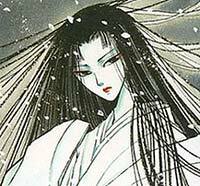 Most people have either read a manga or seen an anime based on a CLAMP creation, and between them, this group of female manga-ka have created almost thirty series covering almost every genre, from science fiction to classic Japanese mythology to romantic comedy. Originally a group of twelve female doujinshi, or fan artists, CLAMP is now comprised of four members who are currently producing several separate manga series, including xxxHOLIC, Tsubasa RESERVoir CHRoNiCLE, X, Legal Drug, and new series Kobato. In 1989, CLAMP, then known as the Osaka-based group Amarythia, had strong success creating doujinshi. They began their first original series: RG Veda, based on Hindu mythology, which quickly became popular. CLAMP then tried their hand at comedy with 20 Menso ni Onegai, published by TOKYOPOP as Man of Many Faces, a comedy about a child thief, regarded now as a prequel to the later series, CLAMP School's Detectives. In 1990, CLAMP began Tokyo Babylon, the precursor to one of their most popular series, X. It told of the adventures of the onmyoji Subaru Sumeragi, his twin sister Hokuto, and Suburu's would-be lover Seishirou Sakurazuka. As an onmyoji, a master of Japanese spiritual traditions involving the elements and yin and yang, Subaru uses his powers to exorcise spirits and to help the people of Tokyo. It also sets up the standoff between Subaru and Seishirou, actually an assassin known as the Sakurazukamori, which is finally resolved in X. As well as spawning several character CDs, Tokyo Babylon was also one of the first of CLAMP's works to become an anime OVA. Next, CLAMP turned their hands to ancient Japanese legends by creating Shirahime Syo. This single tankouban collected three breathtakingly beautiful tales with the Snow Goddess, whose tears are flakes of snow, at the center of each story. Between 1992 and 2000, CLAMP had a string of successes including CLAMP School Detectives, The One Whom I Love, Wish, Clover, Miyuki-chan in Wonderland, and Magic Knight Rayearth. Amongst CLAMP's successes was X, a story incorporating the same universe as Tokyo Bablyon and CLAMP School Detectives. An apocalyptic tale based heavily on Christian mythology and the Book of Revelation, it has a unique Japanese twist. Featuring landmarks of Tokyo as the kekkai or barriers that protected the world, X is one of CLAMP's largest works. It explores the loves, lives and deaths of the six Dragons of Heaven and their leader, Kamui Shirou against the Dragon of Earth, who want to destroy the world so that it can revert to a natural paradise devoid of humans. The manga was so popular that it was quickly adapted into a movie, and then later on as a television series. The manga is still not completed, but the television series did conclude with one of several possible endings for the manga. 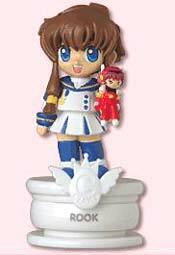 Then in 1996 came Cardcaptor Sakura. A mahou shoujo or 'magical girl' series, Cardcaptor Sakura followed the adventures of Sakura Kinomoto and her Osaka-speaking plush-toy sidekick Kero-chan in their quest to recapture the magical Clow Cards. The series was quickly animated and soon dubbed into English. 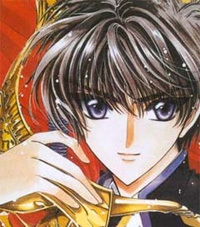 Despite being sliced and diced for American audiences, the series became very popular and became the West's first real taste of CLAMP. It also spawned two theatrical movies and a semi-sequel in the form of Tsubasa RESERVoir CHRoNiCLE. 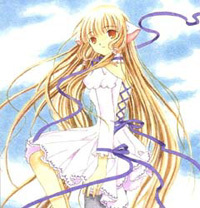 In 2000, CLAMP began a new series, Chobits, which was set in a world where computers called Persocoms (in Japanese, the word literally means 'personal computer') were made in human form. This series was aimed a slightly more adult audiences, and posed the question of whether it was possible (and acceptable) for a human being to fall in love with a computer. Such was the popularity of Hideki and Chii that an anime series began in 2002. 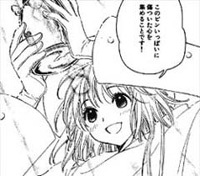 The Chobits manga also crossed over with another CLAMP series Angelic Layer. 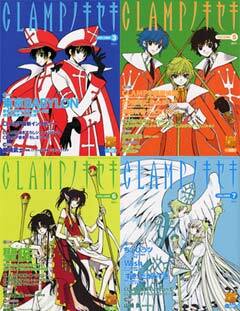 In 2003, CLAMP embarked in two landmark new series: Tsubasa RESERVoir CHRoNiCLE and xxxHOLIC. CLAMP are well-known for their subtle crossovers, such as a cameo of Tomoyo Daidouji's mother (from Cardcaptor Sakura) in the Chobits manga. Tsubasa RESERVoir CHRoNiCLE took this to a new level. 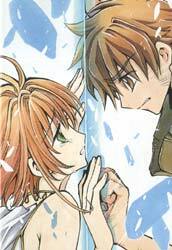 Set in an alternate universe, Tsubasa reintroduced Syaoran and Sakura of Cardcaptor Sakura, but they were not as fans remembered them. Sakura was the daughter of Clow Reed and the princess of the desert land of Clow, and Syaoran is the adopted son of Professor Fujitaka, an archeologist who died while excavating ruins. After losing her memories, which appear in the form of feathers, Sakura and Syaoran travel to 'our' world where they meet Yuko Ichihara of xxxHOLIC. After picking up two more companions, Fai and Kurogame, the group begin travelling through the words, meeting characters from previous CLAMP series along the way. These include Chii from Chobits, Sorata and Arashi from X, amongst many, many others, and Miyuki-chan from Miyuki-chan in Wonderland is hidden in every world that they visit. xxxHOLIC runs along Tsubasa and is set in our dimension, in modern-day Tokyo. 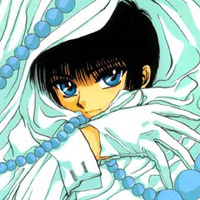 Watanuki is a psychic who wants to stop seeing ghosts, so he ends up in the service of Yuko Ichihara shortly before the arrival of Sakura and Syaoran. 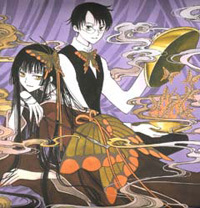 Like Tsubasa, xxxHOLIC is serious but also quite dark. It also continues CLAMP's love of crossovers, but it does so in a more subtle way, such as a plush toy of Kero-chan on a shelf in Yuko-san's shop and headphones that look like Chii's ears. Yuko-san also knew Clow Reed and is aware of Sakura the Cardcaptor and of Subaru Sumeragi. "... Although our names have changed we're still the same people, so...um, behold the rebirth of CLAMP!" Nanase Ohkawa became Ageha Ohkawa, Mick Nekoi became Tsubaki Nekoi, Mokona Apapa dropped the 'Apapa' to become plain old Mokona, and Satsuki Igarashi kept her name, but changed the combination of hiragana and kanji in her name. But the big announcement was that CLAMP had decided to release a limited edition twelve-part magazine series entitled CLAMP no Kiseki (The Miracle of CLAMP), which included a collectable CLAMP chess set, featuring pieces based on characters from their manga series. You could not escape this if you had bought any CLAMP manga from Japan last year, as little fliers were tucked in all tankouban. Beginning with Cardcaptor Sakura, the first volume of CLAMP no Kiseki is a fan's dream. It includes interviews with the members of CLAMP, a précis of the entire manga series, character profiles, fascinating facts and trivia, ads for other CLAMP stuff, new manga strips and every otaku's dream: listings for all Cardcaptor Sakura merchandise ever produced in Japan. The big seller is the fact that if you buy all twelve issues, you'll end up with a CLAMP chess set. 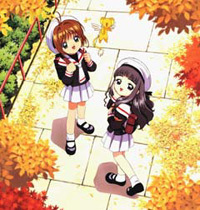 Characters include Sakura Kinomoto, Tomoyo Daidouji, Chii, Kohaku, and Seishirou Sakuraszuka. Just as a final note, CLAMP's latest series Kobato has also just begun in Monthly Sunday Gene-X. It focuses on Hanato Kobato, a young girl who has just moved to Tokyo (for crossover enthusiasts, she's staying in the apartment building run by Chitose Hibiya, now Mihara, where Hideki and Chii lived in Chobits). With Hanato is her pet plush dog, Ioryogi, who is actually really scary. Together they have come to Tokyo to fill Hanato's bottle by healing wounded hearts and easing the suffering of others. The majority of CLAMP's manga is available in English. Tokyopop has the rights of most of their manga series, while Viz has X (X/1999), and Del Rey publishes Tsubasa and xxxHOLIC.